A while back, I mentioned how much I enjoy leveling alts. To this day the trend continues, and unfortunately Cataclysm has made it even easier to enjoy this hobby. The addition of new races, new race/class combinations, and the complete redesign of the level 1-60 leveling process was just a bit of encouragement. 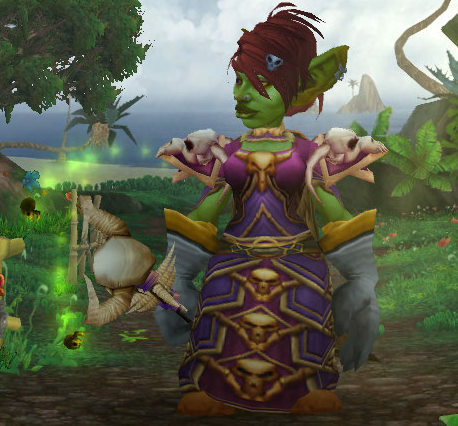 Then I go and splurge on all three heirloom cloaks from guild rep, making it that much easier. My habit has continued, and it has flourished. One big thing that I’m a bit surprised about is that two classes that I enjoyed quite a bit before have not interested me as much now. The Warlock, my very first class that I got to the level cap with on the Horde side in Vanilla, has no presence on my character list at all. I tried rolling one a few times, but it’s just not doing it for me right now. Perhaps later. The Death Knight, a class that I thoroughly enjoyed back in WotLK, is now my bank alt. 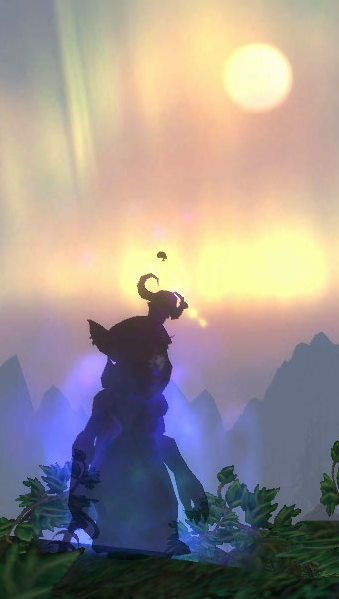 I have one that I’m trying to level through Outland right now, but I think it might be more of that continent’s fault than the DK class itself. 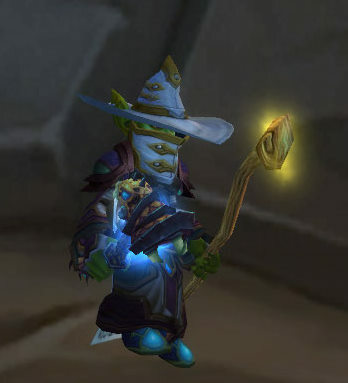 My Shaman just recently hit 65 after simmering on the backburner for a while. I wanted to get geared up and ready for heroics and raids before I focused too much on any alt for a little bit. Now that I’m raiding again (woot! ), I’ve been slowly working him through Outland. As I mentioned before, it really is a chore to get through the BC content. I remember trying to rush as fast as possible to 58 so we could get away from the junk of Vanilla content – oh, how times have changed. There’s the hunter who’s in the late thirties. I was going pretty steady with it for a while, but I’ve lost interest in it for the moment. These phases come and go quite quickly with various classes and how I feel with it. On our old server, I was leveling a rogue with my wife and was having a blast. I tried rolling a rogue a few times already, and it’s just not doing anything for me right now. More than likely, it’s too close to the cat druid that I work on mostly right now. One character that I was looking forward to rolling at Cataclysm was my goblin priest, and she’s been quite a bit of fun. Checking out the talent trees previously, Discipline looked like a great spec to try out for leveling as it had a good mixture of damage and healing abilities. So far I’ve leveled exclusively through the dungeon finder from level 15 on, just to work on my skills so when I hit a higher level I’m not completely out of it. I’m only level 29, so it’s not really too big of a challenge, but it’s been a good experience so far. Lastly, I have lowbies of the rest of them: paladin, mage, and warrior. I’ve played a paladin and mage to level cap previously and enjoyed it, and the highest I’ve ever gotten a warrior was to the mid twenties. Some of the higher levels that I have right now are going to be DPS and healing, so I’m thinking a tanking warrior would be fun. Heirloom shield please? I enjoy the different experiences that I have on each character when I play them. Each has their own different feel, their own nuances that I have to figure out – it’s nice to have such flexibility within the game. Plus, this is all on the Horde side. If I wanted something completely new, I’d work on my Alliance characters… maybe. There are numerous stories that could be told about the Random Dungeon Finder. The good ol’ LFD/LFG/looking for PAIN tool is a wonderful and horrible invention that can be used for good or for evil. Unfortunately, there are many people who seem happier to use it for the latter. I have a lowbie Priest who is currently level 23, and has leveled purely through the dungeon finder so far. Through that I have come across many great players who have been willing to help out others who aren’t as good, as well as many players who have no clue what they are doing and don’t want to accept any suggestions at all. Of course, this doesn’t go just for the lowbie instances – my Druid main has come across many different types of people through the dungeon finder for regular and heroic dungeons at level 85 as well. After all my experiences, I think that the most important thing to remember when with any group (LFD or not) is to have good communication. It doesn’t matter if it’s all guild members, one pug, or if it’s all completely random – if there’s a communication breakdown, failure is sure to come knocking at your door quite soon. 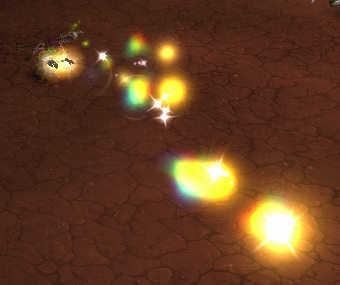 A good example would be a Wailing Caverns run that I did the other day on my priest. I don’t remember the exact makeup, but the tank was a paladin who didn’t like to listen and who liked to do his own thing. After killing the first boss, Lady Anacondra, 4 of the 5 of us drop down and proceed to the west side to start the trek to the second boss, Lord Cobrahn. The tank proceeds to continue around the top side towards where the Naralex event eventually happens at the end. In chat, we asked multiple times what he was doing and if he was going to come back to where the group was, and he never said anything. In hindsight, this would have been a good time to initiate a vote-kick. 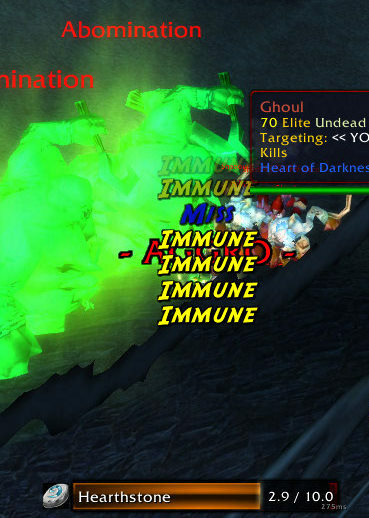 The group was fine, since we had a hunter with us and the pet tanked just as good as the paladin was, and fortunately I was able to keep everyone alive. We put up with the tank’s eccentricities like randomly running ahead and getting new packs of mobs before we were done the previous ones, or randomly going afk for 5 minutes without saying anything. 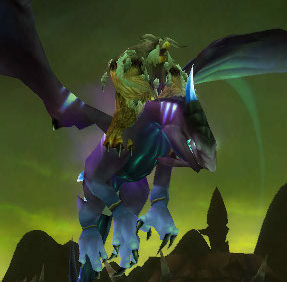 Once again, I’m thankful that we had the hunter’s pet to be a better tank than the one who was in the group. Don’t be “that guy”. Don’t be the one that people write blog posts about, or laugh about with their guilds, or complain about to their wives. As a sidenote, I’m glad that my wife enjoys listening to my dungeon finder stories. It makes those brutal groups much easier to bear. Try to help others who are having difficulties. Don’t post damage meters, because nobody cares (on that note, if you’re trying to see how you’re doing compared to others, you don’t need to announce it to the rest of the party). If you don’t know your way around, ask. If someone doesn’t know the way, help point them in the right direction. It’s really not that difficult. If everyone puts in a little bit of kindness, it’ll go a long way. Maybe the idiot from the last group will pick something up from you, and next run will be a little bit less of an idiot. If during that run, someone gives him a few more pointers, he’ll be even less of an idiot. Hopefully the idiocy will flush itself out, but that’s just me being hopeful.